Easy Dot is an innovative new self-adhesive product making wall graphic application a very easy task. If you have ever worried about applying larger stickers yourself or just paid a professional to do it for you, then this product is for you. You will save time and money when creating and installing wall graphics, front facing window graphics and exhibition displays. 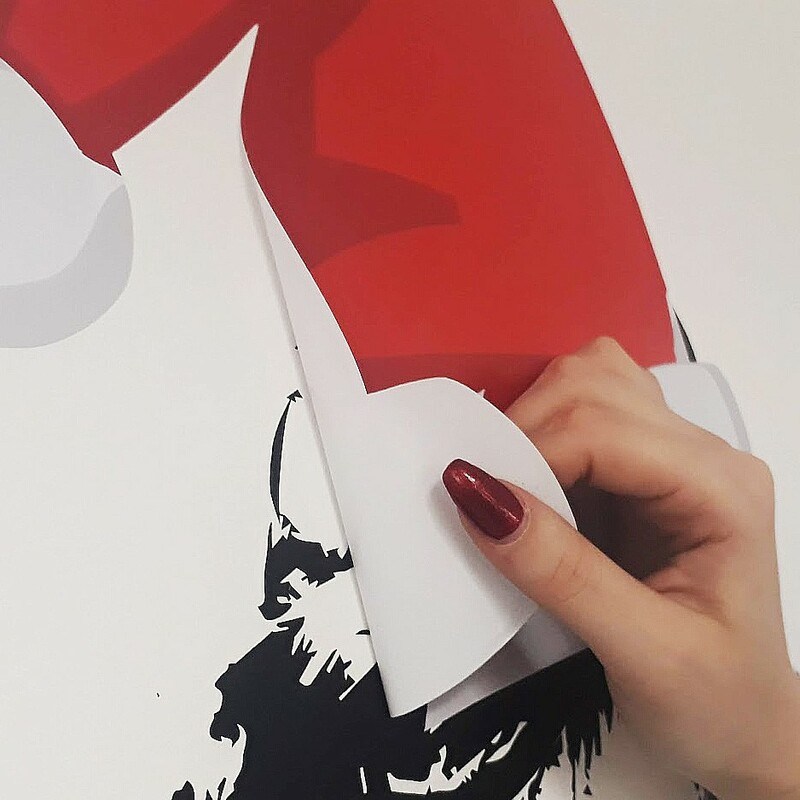 Say goodbye to the frustration of creased graphics and vinyl with a mind of it's own sticking to itself and stretching beyond repair when you try to save it - we have all been there! Neschen Easy Dot vinyl is easy to fit without compromising on finish. The difference, compared to other self adhesive graphics, is the special dot patterned adhesive which allows air to flow through the material, making the installation bubble and wrinkle free with minimal hassle. 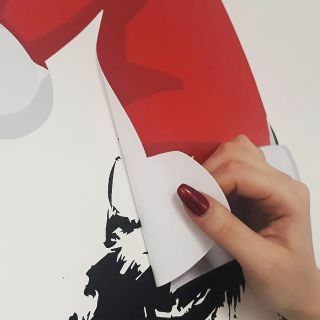 You won't need any special tools or even a squeegee to flatten the surface (which are normally required for normal digital vinyl to remove bubbles and make sure firm adhesion with edges not peeling off). Quality-wise it looks like normal, self-adhesive vinyl. We will print your removable Easy Dot vinyl to the same quality as our other self-adhesive vinyl, and supply un-laminated with a matt finish as standard.